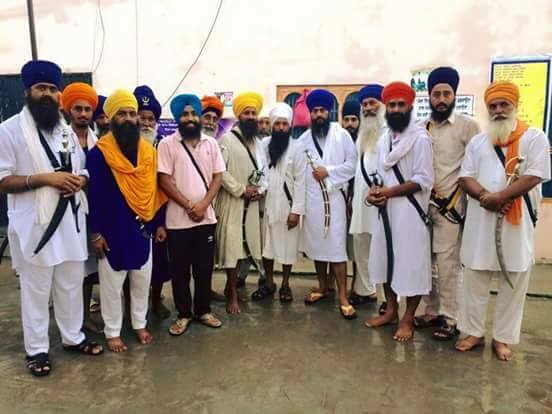 Ludhiana: Sri Guru Granth Sahib Satkar Committee chief by Sukhjit Singh Khosa and 12 others, who were arrested from Bapu Surat Singh’s house on July 19th, were granted bail by a Ludhiana Court today. Advocate Jaspal Singh Manipur who appeared for 12 of the 13 persons told SSN that the court of chief judicial magistrate Harpreet Singh hear the arguments regarding bail plea of the 13 Sikhs. Advocate Manjhpur said that he argued the bail plea for 12 Singhs while 13th Singh was represented by Advocate Rajbir Singh. “After hearing the arguments the Court said that it was if it case for granting bail”, Advocate Manjhpur told SSN over phone. He said that it may take 1 or 2 days for all these 13 persons to come out of jail as they are required to furnish bail bonds to the appropriate authorities.